The Columbine plant--also known as "aquilegia"--is a flowering plant native to Eastern Europe and Central Asia. The plant has evolved into different species, as a direct result of different pollinators. This evolution has resulted in plants that produce blossoms in blue, yellow, or red. In the United States, the Columbine plant is found primarily in the Pacific Northwest. The Columbine plant is cold hardy in gardening zones 3 through 9. The plant does prefer the cooler summer temperatures of the Pacific Northwest, however. In the south, plant Columbine in the fall and enjoy its blooms through the spring. Established Columbine plants have thick tap roots that absorb and retain copious amounts of water. This enables the plant to survive on light waterings after the tap root has developed. During the warm late spring and summer months in the South, keep the soil moist (not wet) to ensure that the Columbine will not dehydrate and wilt in the heat. Like most flowering plants, Columbine prefers acidic soil. If your soil is alkaline, supplement with an acidic fertilizer to encourage growth and blooms. Columbine also prefers well-drained soil. Mix clay soil with gardening sand at a ratio of 1:1 to help the soil drain. Columbine plants are propagated through seeds or cuttings. Cuttings develop roots when placed in a cup of water, or directly into the soil. Rooting powder will hasten the root development. Columbine seeds need sunlight in order to germinate; they germinate much faster if they are sown on top of moist soil. Prune Columbine plants during the early spring, to remove dead wood and give the plant a pleasing shape before new blossoms develop. 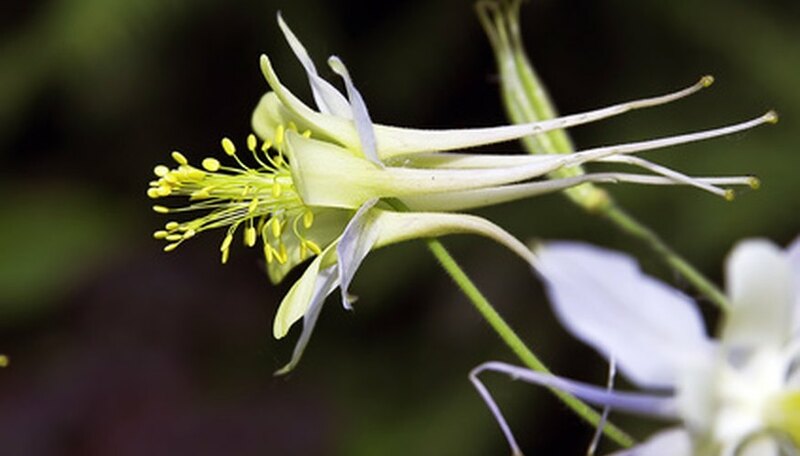 Columbines are self-sowing plants that release seeds into the surrounding area. Because Columbine plants last only a few years before dying off, many home gardeners allow the self-seeding so that they have a continuous growth of Columbine plants.